A young man named Jacob Cramer wanted a way to help people and to give back to others. In early 2014, at the young age of 14, he had an idea to set up an organization where people could write annonymous letters of kindness to elderly people. The idea quickly caught on, from classrooms to individuals, and as of today Jacob has collected and distributed over 10,000 letters, some from as far away as Australia and Iceland. Jacob really is an extraordinary teenager and he was kind enough to tell us more about his amazing organization. Senior Directory: How did you come up with the idea, and were you surprised how big it has grown? Jacob Cramer: After my grandfather's death in 2010, my eyes were opened to the vulnerability of the elderly. By combining my passion for writing and my desire to show the elderly the love and kindness they deserve, Love for the Elderly was formed. It started as just me, writing letters in my own living room. I soon created a website and social media for a few of my friends to learn how to write the letters. Over time, people began to find out about my organization and became inspired to get involved. I find it amazing that my organization, which started so small, has grown to a global extent, receiving letters from all around the world. What have you learned, or perhaps what has surprised you since you started "Love for the Elderly"? Through my organization, I have learned that there are so many people out there who are interested in giving back to their communities; they simply do not know where to start. Love for the Elderly provides a great, easy platform for those who are looking to make a difference, specifically in the lives of the elderly. What has been the reaction by people who have received letters? What do you think young people can learn from elderly people? I believe that elderly people have so much from which all people, not just youth, can learn. Their wisdom and experiences are invaluable, and they have paved the pathway of success for my generation. It is important to recognize this by showing them appreciation and love. It's interesting, because to some it may seem strange to write a stranger, yet today with the internet and social media we often find ourselves communicating with strangers. It seems you brought personal letters and the internet together in a beautiful way. Did you envision this or did it sort of come together? I had envisioned this from the start, and from there it has blossomed in a way that I could have never foreseen. 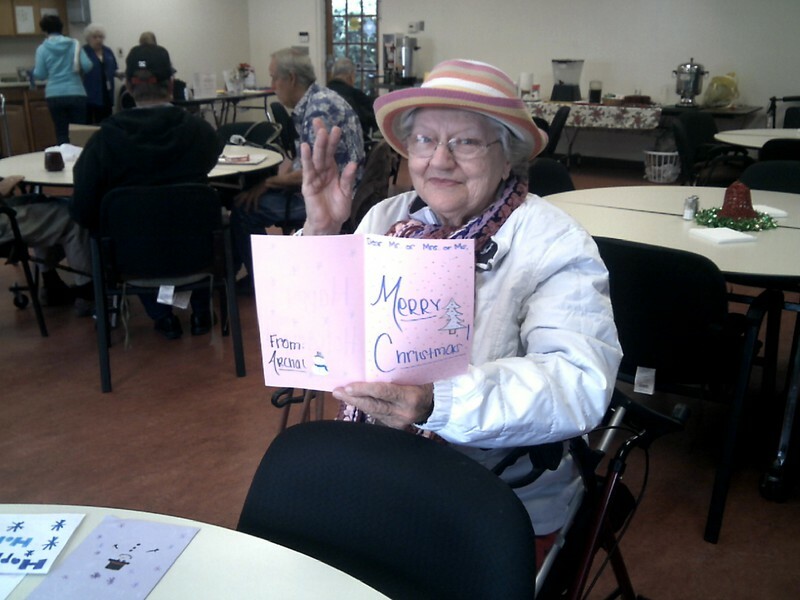 Do you plan on continuing "Love for the Elderly" for the foreseeable future? I definitely plan to continue Love for the Elderly in the future. I have many plans and ideas which I would love to implement, and there will always be things I can do to give back to the elderly. 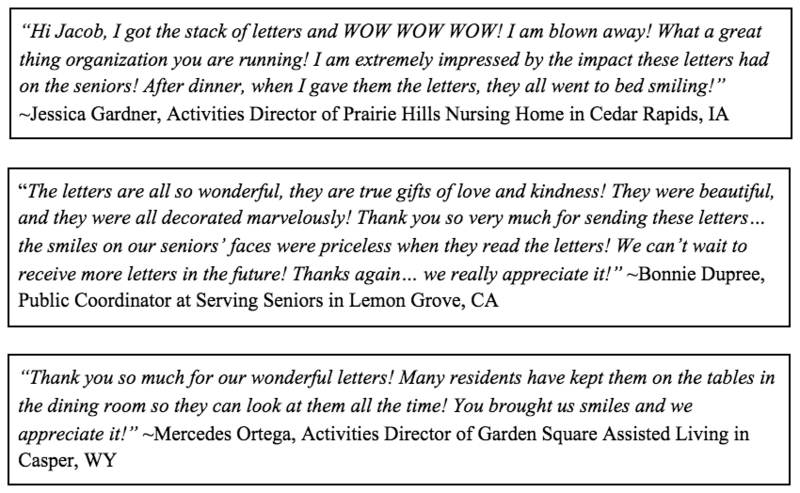 What is the best way to reach you if our readers wanted to write a letter to an elderly person or to donate? I encourage all of your readers to visit our website, lovefortheelderly.org, to learn more about our organization and how to get involved! Can CBD Oil Help Arthritis and Inflammation?